The word gravina comes from the Latin grava or from the messapic graba, with the meaning of rock, shaft and erosion of bank river. Other words that share the same root are grava, gravaglione and gravinelle. 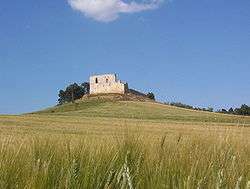 Instead, when the emperor Frederick II went to Gravina, because of the large extension of the lands and for the presence of wheat, he decided to give to it the motto Grana dat et vina., that is to say It offers wheat and wine. The town was founded by the Greeks during the colonization of Greater Greece, as a polis with the right of a mint of his own. Diodorus notes it as an Apulian town, which was wrested from the Samnites by the Romans during the 3rd Samnite War (305 or 306 BCE). It was a town in the interior of Apulia. It is noticed by Strabo as the frontier town of the Peucetii, and its name is noticed by Pliny among the municipal towns of Apulia. The Via Appia, which linked Rome to Brindisi, passed through Gravina. The Itineraries place it 20 miles (32 km) from Venusia, on the branch of the Appian Way which led direct to Tarentum. Later it was ruled by Byzantines, Lombards and North African Muslims. 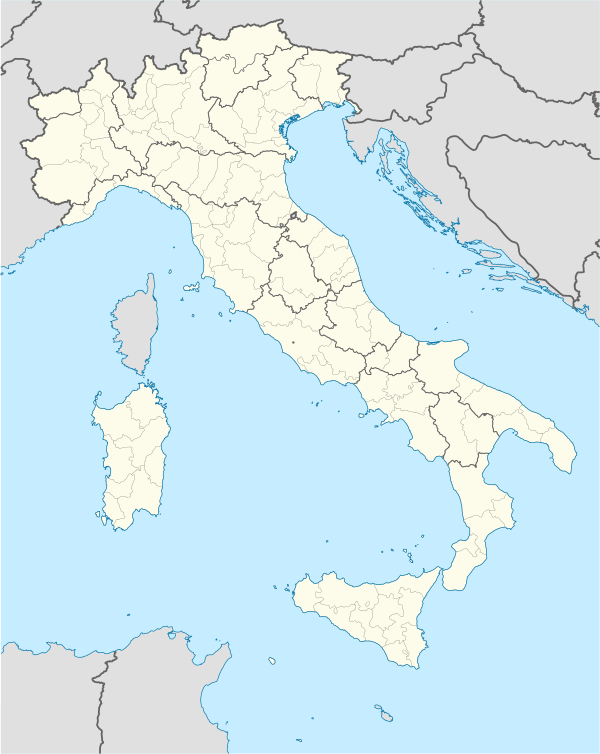 The city was the site of a Norman countship in the Hauteville Kingdom of Sicily and in the later Kingdom of Naples. A famous count of the former was Gilbert, who was sent by his cousin, the Queen regent Margaret of Navarre to the peninsula to combat the Holy Roman Emperor. In the latter period it was the hereditary fief of John, Duke of Durazzo. The Normans called the town Garagnone or Garaynone. From 1386 to 1816 it was a fief of the Orsini family: the pope Benedict XIII (Pietro Francesco Orsini-Gravina) was born here in 1649. Feudal oppression led to numerous riots, in particular from 1789 until the unification of Italy (1861). 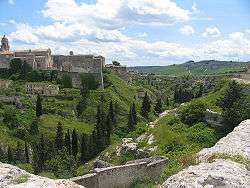 Gravina in Puglia was partly destroyed by Allied bombings during World War II. Gravina Cathedral (11th-12th centuries) - built by the Normans in Romanesque style. Destroyed by fires and earthquakes in the mid-15th century, it houses a splendid reliquary of an arm of the English Thomas Becket, obtained by Bishop Roberto in 1179. The remains of Frederick II's castle, site on a hill nearby the city, orinigary more a base for bird hunting. According to Giorgio Vasari, it was designed in 1231 by one Fuccio from Florence. Madonna delle Grazie- Baroque-style church with an unusual façade sporting a rose window surrounded by a large carved eagle, coat of arms of the Giustiniani. San Sebastiano - Renaisssance-style church with a nave and two aisles separated by pilasters. The cloister of the annexed convent has with Romanesque capitals decorated with animal and vegetable figures. It has also a well preserved Roman bridge, dates back to at least 1686. Following the earthquake of 1722 the bridge was restored and transformed into an aqueduct by the Orsini family of Rome, who then moved to Gravina around the middle of the 18th century. The commune of Gravina in Puglia produces a white Denominazione di origine controllata (DOC) Italian wine that can be made in a still or sparkling Spumante style. While the still Gravina wine is almost always dry, the sparkling Gravina wine can be made in both a dry secco and slightly sweet amabile style. All grapes destined for DOC wine production needing to be harvested to a yield no greater than 15 tonnes/ha. The wine is made primarily (40-65%) from Malvasia del Chianti, Greco di Tufo and Bianco d'Alessano with the last two grape varieties collectively permitted to make up between 35-60% of the blend. Bombino bianco, Trebbiano Toscano and Verdeca are also permitted up to a maximum of 10%. The finished wine must attain a minimum alcohol level of 11% in order to be labelled with the Gravina DOC designation. Gravina in Puglia is famous for one of the oldest fairs in Europe: the Saint George's Fair has been held each April since 1294.